SUPERNATURAL 11x05 Images: "Thin Lizzie"
So goes the tale of the infamous Lizzie Borden who killed (or did she?) her father and stepmother back in 1892 in in Fall River, Massachusetts. Supernatural’s Nov. 4 episode will see Sam (Jared Padalecki) and Dean (Jensen Ackles) investigating a string of murders at a local B&B that also happens to be Lizzie Borden’s old home. When a local man, Len (guest star Jared Gertner), tells them he saw a little girl around the B&B around the time of the murders, the brothers realize Amara (guest star Yasmeene Ball) may be responsible. We’ve got first look images from “Thin Lizzie” to share in our gallery below. The episode airs Wednesday Nov. 4 on the CW Network. 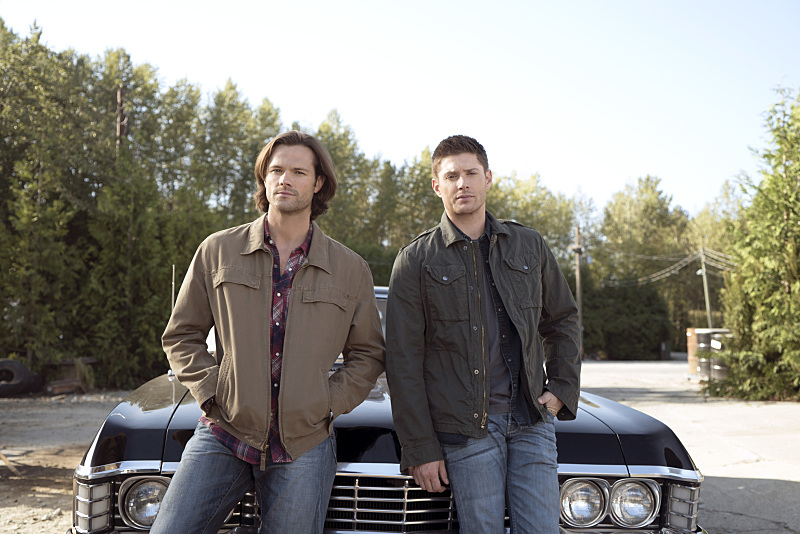 Supernatural -- "Thin Lizzie" -- Image SN1105a_0002 -- Pictured (L-R) Jared Padalecki as Sam and Jensen Ackles as Dean -- Photo: Katie Yu/The CW -- ÃÂ© 2015 The CW Network, LLC. All Rights Reserved.